After Nazi Germany's surrender in 1945, The Allies in Denmark put their German POWs to work removing over 1.5 million of their own landmines from the Danish west coast. Almost half of them were either severely injured or killed in the process. 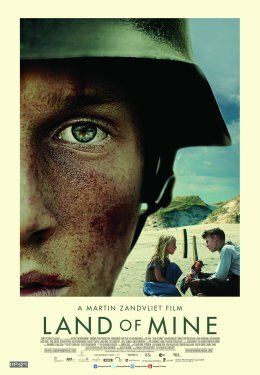 The film begins with a group of POWs arriving at the seashore where they are met by Danish Army Sergeant Rasmussen. Rasmussen is intent on punishing the soldiers, sending them out every day on their dangerous task, but eventually he becomes conflicted about his job.